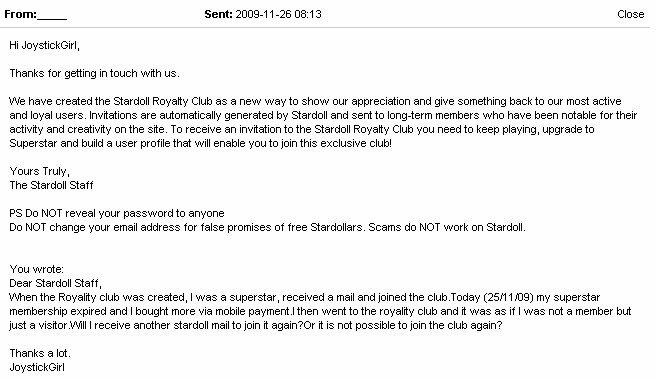 So as we said day by day the members of the club are less and less...and we assumed that when your SS membership expires they basically kick you out of the club....well...It's TRUE!!! You can find the post of JoystickGirl in her blog grabthejoystick.blogspot.com where the photo was taken from!!! 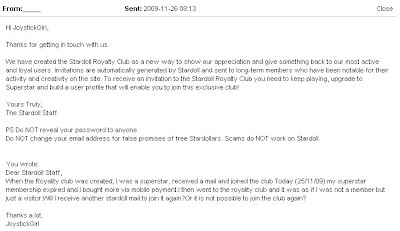 So basically stardoll says that ... if you are in don't let your SS membership expire...cause if you do you are out...and the only way to get in again...is to keep buying SS memberships till you get a new invitation!! !